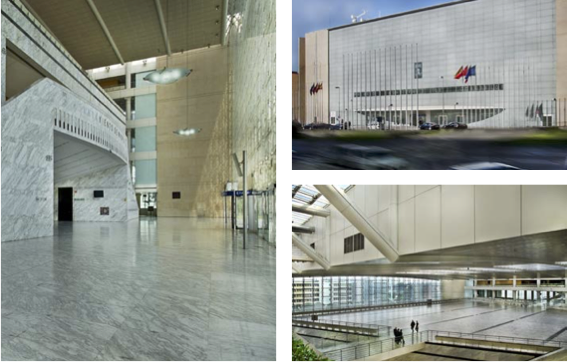 The venue for the fourth European Emergency Medical Services Congress, EMS2019, is Palacio Municipal de Congresos (Municipal Conference Center). Designed by architect Ricardo Bofill, the Palacio Municipal de Congresos is a functional and versatile venue hosting high-profile international events. Beautifully light and airy, it is equipped with the services required for holding conferences, conventions, shareholder meetings, television galas, shows and business meetings. 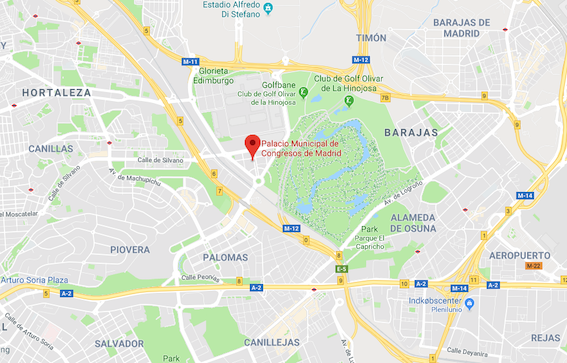 The Palacio Municipal de Congresos is located in the Campo de las Naciones financial complex and is surrounded by the 160-hectare Juan Carlos I Park, the IFEMA trade fair centre, a shopping centre and a series of major companies. The Centre has excellent communication links with the centre of Madrid and is located close to the airport. Sign up for our newsletter and keep updated on news and activities. On Thursday 25th April, the Madrid Convention Bureau and SAMUR organize a Citizen Training Program in the City Center. Everyone is welcome to take part and learn more about Emergency Medical Services and practice their first aid skills in case of an emergency.